This post originally appeared on the Autism Society's blog. No, no, you won’t be needing any bread for this. 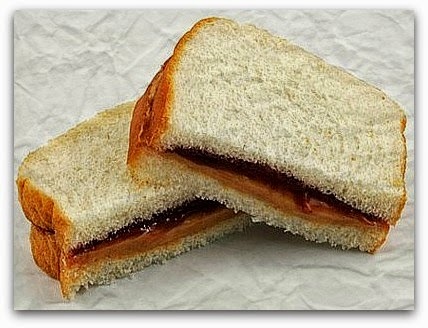 The PB&J I’m talking about is much different…and less sticky. PB&J equals: Patience, Being There, & Joy. Okay, okay, I know I cheated a little with the “B” meaning Being There, but let’s just call it poetic license. Heh, heh. I’ve mentioned before (http://www.autism-society.org/blog/patience-strong-will.html) the importance of patience for an autism parent, but I think it’s even more important for Autism Dads. Men are usually considered to be the more impatient parent (“Just wait till your father gets home!”), but whether that’s a curse of our genes or a gender stereotype, I believe we just need to work a little harder to find that much-needed virtue. And, let me be clear, the patience I’m talking about is well beyond what outsiders would imagine. No, for those of us in the Autism Dads Club, I’m talking about the type of patience usually attributed to a saint. Saint Autism Dad needs to take a deep breath when his child throws his food on the floor for the fifth time in a row. He needs to turn the other cheek when his child’s humming stim rivals that of a thousand bees in his ear. He must speak softly and calmly when his actual urge is to scream and yell. I know your struggle, Autism Dads, but, if we try hard enough, perhaps one day we will all be canonized. I’ve come to learn in life that being there is half of the secret to living. But I don’t just mean showing up, it’s what you do while you’re there. An Autism Dad needs to do everything a father of a typically developing child would do…and then multiply that by a hundred. I know that my son, Mikey, loves the times we do the usual father-son things like tickle-fights or going to the park. But I believe deep down he truly appreciates the times I’ve been with him at the doctor or did a parent training session with him at his school. It was quite evident to me that Mikey expects me to “be there” for him when, due to my recent back injury, I was unable to do all those things with him and his behavior suffered because of it. As my back has healed, so too has my relationship with Mikey. Joy might, at first, seem like a difficult concept for an Autism Dad to comprehend. But joy is simply an extreme happiness. A happiness that takes great pleasure in even the littlest of things. As Autism Dads we have many great opportunities to be joyous. Our children face a daily battle at times just getting through the day…each time they overcome those challenges is a time to be filled with joy. Perhaps your child has just beaten a severe stim, or tried eating a new food, or successfully used the potty.Let yourself see the joy in that, Autism Dad. I know my heart overflows on those rare times that Mikey looks me straight in the eye and says, “Daddy.” You don’t need to look very far for a joyful occasion. So, Autism Dads, you are all wonderful, strong, loving parents and your children appreciate you. But if you’re ever feeling at a loss for how to cope, just reach for the PB&J. Nope, not the sandwich, this PB&J is far more filling and satisfying.